(CNN) - The Romney campaign released excerpts from the presumptive GOP presidential nominee's upcoming speech to the National Association of Latino Elected and Appointed Officials on Thursday. In his remarks, Romney will outline some of his immigration policies, specifically those in response to President Barack Obama's new ruling against the deportation of certain young illegal immigrants. Hispanics have been hit disproportionately hard. While national unemployment is still above 8%, Hispanic unemployment is at 11%. The middle class has been crushed under President Obama. More Americans are living in poverty today than at any point in history. Over two million more Hispanics are living in poverty today than the day President Obama took office. Home values have plunged, our national debt is at record levels and families are buried under higher prices for food and gasoline. And yet our President says the private sector is doing fine. This is more than a policy failure; it is a moral failure. Unfortunately, despite his promises, President Obama has failed to address immigration reform. Some people have asked if I will let stand the President's executive action. The answer is that I will put in place my own long-term solution that will replace and supersede the President's temporary measure. As President, I won’t settle for a stop-gap measure. I will work with Republicans and Democrats to find a long-term solution. I will prioritize measures that strengthen legal immigration and make it easier. And I will address the problem of illegal immigration in a civil but resolute manner. We may not always agree, but when I make a promise to you, I will keep it. As I have said many times, it is critical that we redouble our efforts to secure the borders. That means both preventing illegal border crossings and making it harder to illegally overstay a visa. We should field enough border patrol agents, complete a high-tech fence, and implement an improved exit verification system. Our immigration system should help promote strong families, not keep them apart. Our nation benefits when moms and dads and their kids are all living together under the same roof. But, today, too many families are caught in a broken system that costs them time and money and entangles them in red tape. For those seeking to come to America the right way, that kind of bureaucratic nightmare has to end. And we can do this with just a few common-sense reforms. As President, I will reallocate Green Cards to those seeking to keep their families under one roof. We will exempt from caps the spouses and minor children of legal permanent residents. And we will eliminate other forms of bureaucratic red tape that keep families from being together. Immigration reform is not just a moral imperative, but an economic necessity as well. Immigrants with advanced degrees start companies, create jobs, and drive innovation at a high rate. Immigrants founded or cofounded nearly half of our 50 top venture-backed companies. They are nearly 30 percent more likely to start a business. And that kind of risk taking is something we need more than ever because new business starts are now at a 30-year low. I will work with states and employers to update our temporary worker visa program so that it meets our economic needs. And if you get an advanced degree here, we want you to stay here – so we will staple a green card to your diploma. We want the best and brightest to enrich the nation through the jobs and technologies they will help create. As President, I will stand for a path to legal status for anyone who is willing to stand up and defend this great nation through military service. Those who have risked their lives in defense of America have earned the right to make their life in America. But improving access to legal immigration is only one part of the equation. We must also make legal immigration more attractive than illegal immigration, so that people are rewarded for waiting patiently in line. That’s why my administration will establish a strong employment verification system so that every business can know with confidence that the people it hires are legally eligible for employment. We can find common ground here, and we must. We owe it to ourselves as Americans to ensure that our country remains a land of opportunity – both for those who were born here and for those who share our values, respect our laws, and want to come to our shores. Rare animal cited at the NALEO conference... A "pander" bear named Mitt! You guys are too worried, Obama has the Latino vote and that will give him the win for re-election. Why do you continue to argue this immigration rule? Children of Latinos, Haitians, Koreans, Chinese, Germans, Russians, Spaniards, Irish, etc.. won't be deported for 2 years and those of working age get a work permit. EVERYTIME he mentions the word "military" someone who ACTUALLY FOUGHT should SPIT in his face. What a disgrace he is to every member of the US military who fought or may have died while he knocked on doors and dined in France. Surely, America can do better than Willard or YOU deserve whatever you get. It's always more about how bad Obama is vs what he would do. A sad speech. What about the Dream Act he said he would veto?. What a joke about bringing Dems and GOP together. The GOP's whole focus is not on any new ideas they have, more on defeating Obama. 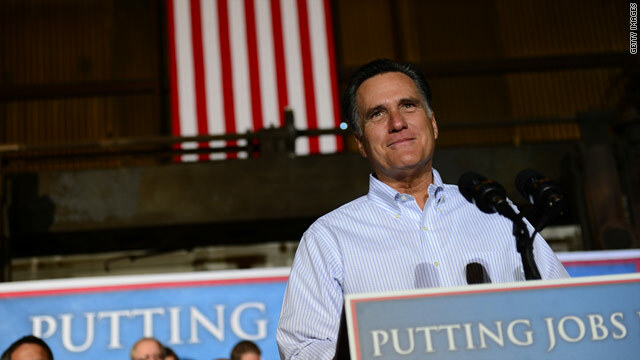 McConnell couldn't even speak about immigration until Romney spoke today. The GOP has no real feeling for anyone who isn't white and right wing. Pander, pander, pander. The alternative is Gary Johnson. Poor 'ole Mittens. Since he became the presumptive nominee of the Grand Obstructionist Party, his platform (if you can call it that) has been "Obama fail. Me better!"... Anyone who votes for this miscreant who stands for whatever you want to hear at the time, deserves what they get. The LARGE majority of Americans with a modicum of intelligence realize that the nefarious propaganda and lie machine that the GOBP has become is all smoke and mirrors. No substance.